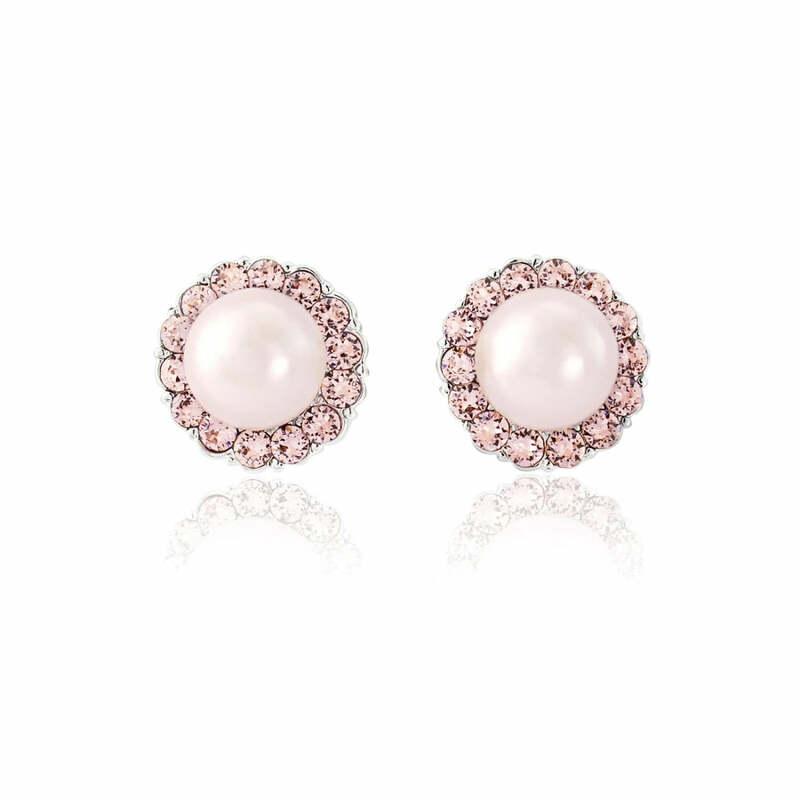 Dreamy pink pearl stud earrings featuring rose pink crystals which ooze classic charm. A fabulous choice for feminine style in the prettiest tones. The feminine charm and beauty of our Misty Rose Earrings is quite simply captivating. Pale rose pearls are encased with vintage pink Austrian crystals to create pretty stud earrings oozing romance and elegance from yester year. So ladylike, Misty Rose Earrings have a hint of retro style making them the perfect choice for fans of 1950s fashion. Pin up your curls and our divine studs will shimmer teamed with a pretty floral print tea length dress. 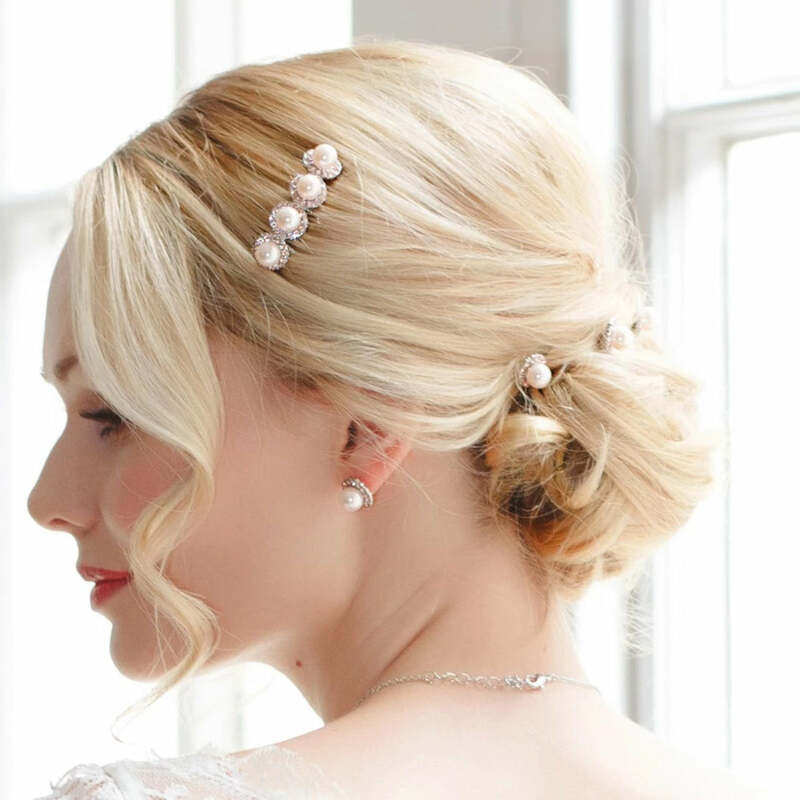 Available with a coordinating collection of jewellery and hair accessories you can create the prettiest of looks. Divine hues for a wedding theme, Misty Rose are the ideal choice for both brides and their maids. Highlight a touch of pink on a vintage wedding gown or team with rose pink bridesmaids dresses and hand tied posies for the prettiest of wedding day styles.